What is Splash Dual Language Immersion? Dare County Schools is excited to offer the Splash Dual language immersion program in Spanish. Dual language immersion provides an attractive option for all parents who want to offer their child with the competitive advantage of being able to speak two languages fluently. Parents wishing to enroll their child in the program must start during the child's kindergarten year. 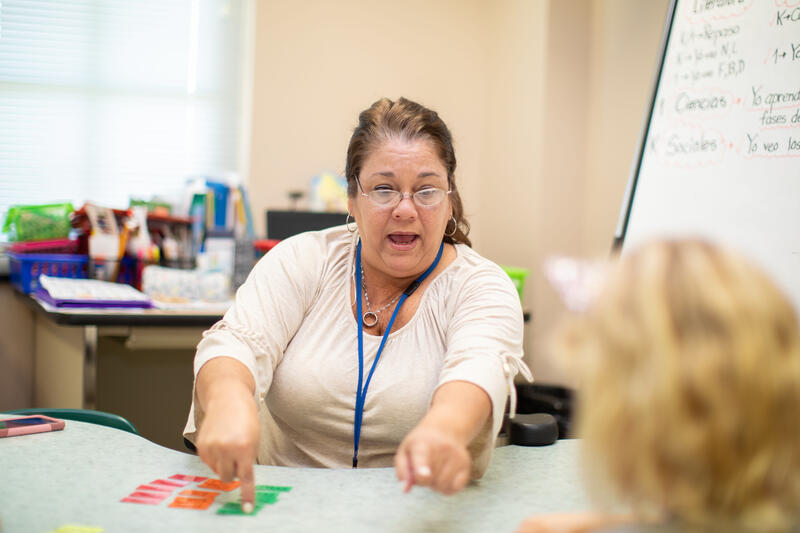 Once enrolled, students spend from 50 to 90 percent of their day fully immersed in the Spanish language with a highly qualified, native Spanish-speaking teacher. The results are amazing! Within months, students in the program begin to develop conversational Spanish speaking ability! Children who learn in two languages benefit from high academic achievement, language proficiency, increased critical thinking skills, increased cognitive development and greater cultural sensitivity, according to recent studies. Built on more than 25 years of supporting language instruction and solid experience in implementation and support of dual language programs, Splash provides a comprehensive, framework to develop high-quality dual immersion programs. Each of our dual language teachers receives intensive support from Participate to ensure that our scholars are exposed to the most recent research-based instructional strategies. Teachers from Participate receive continuous support, coaching and training. These native Spanish-speaking teachers were selected through a rigorous and highly competitive process. Rest assured, once in the program, your child will have a highly qualified teacher. Resources for parents and students, i.e. : homework help, free Spanish language classes for parents. All of our Spanish Immersion teachers make a commitment to live in the surrounding communities. Standards-aligned curricular content, grade-level material recommendations and suggested curricular maps. Parent and community outreach resources. Dare County Schools currently offers Spanish Dual Language Immersion in four of our five elementary schools. Learn more about this exciting and innovative program!